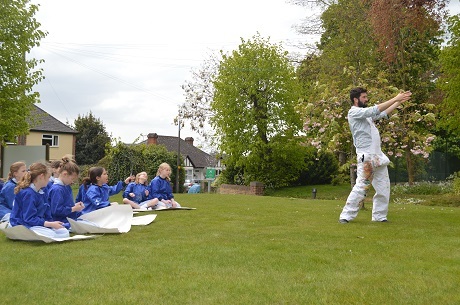 Budding artists of Saffron Walden - we need you! Local artist Samuel Benjamin Harris has created a beautiful scene of Saffron Walden using acrylic and pen. 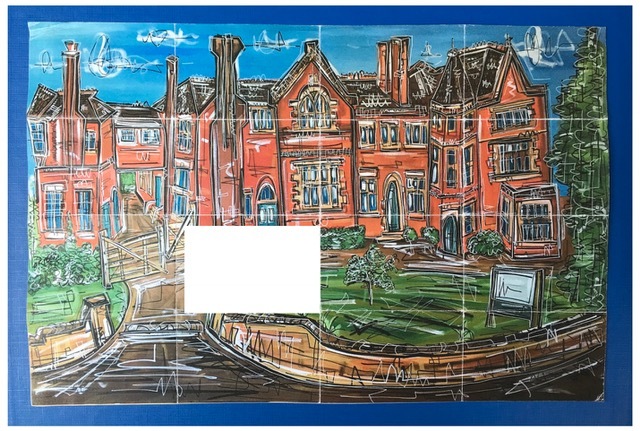 But he's split his creation into 15 pieces and hidden them around the town - and we need your help to find them and get creative to finish the scene and create piece number 16! Hunt around Saffron Walden, casting a careful eye over window displays in shops around the town, to collect the pieces. 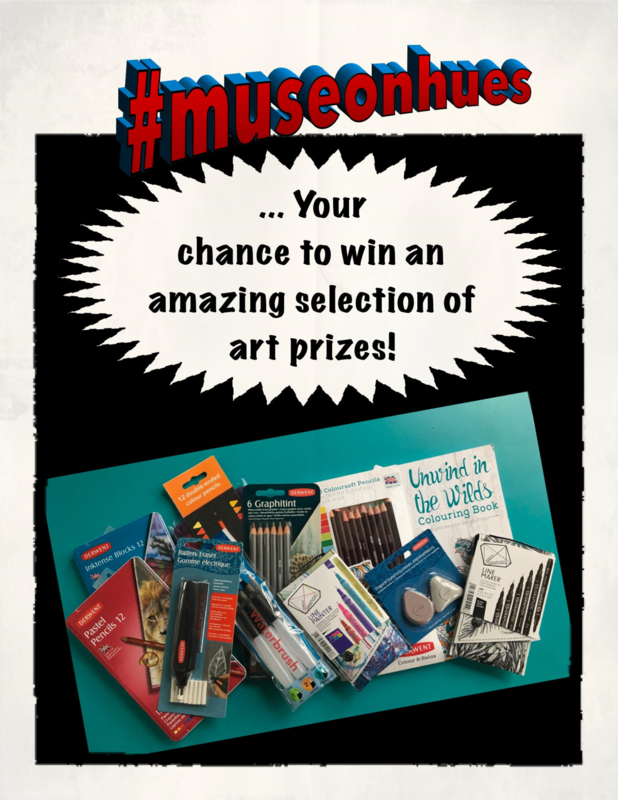 Then, using anything from pens, paints, iPads or chalks and everything in between, fill in the gap with your own scene for the chance to win a basket of art goodies AND have your entry displayed at our Muse on Hues exhibition to be held from 29 June. The competition opens at the beginning of half term on May 29. Entries cost £2 and all proceeds go to Accuro, a local charity which holds its Saturday Play Club at Dame B's. Accuro provides opportunities for children and young people with a range of disabilities and needs, to engage in constructive and imaginative play within a safe, caring environment. Or enter digitally, please donate your fee online by clicking here, stating the name of the entrant with the donation, and send your entry to news@stephenperse.com. The competition closes on 14th June. 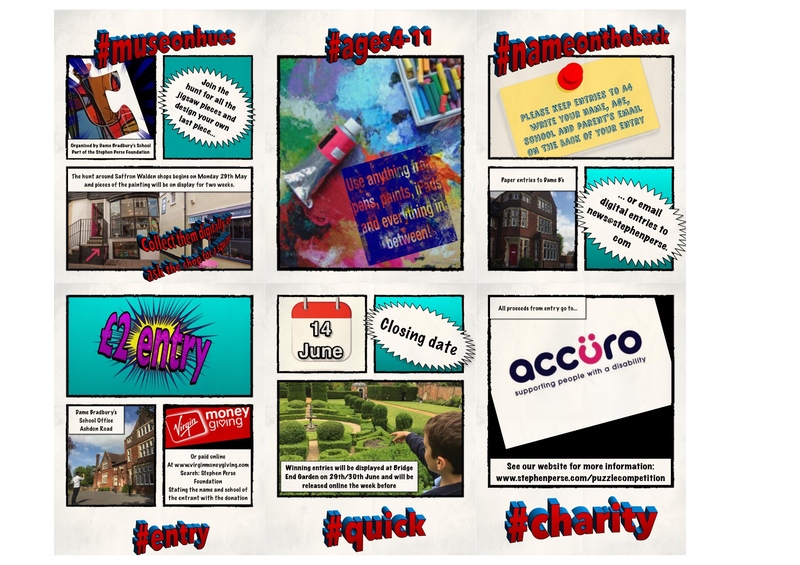 Find out more about Accuro and ways you can support the charity.